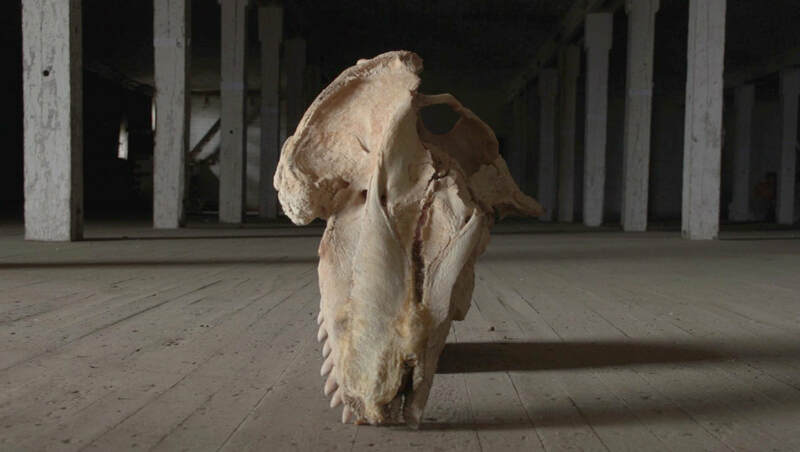 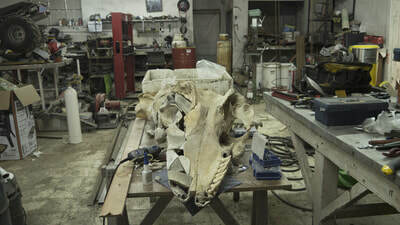 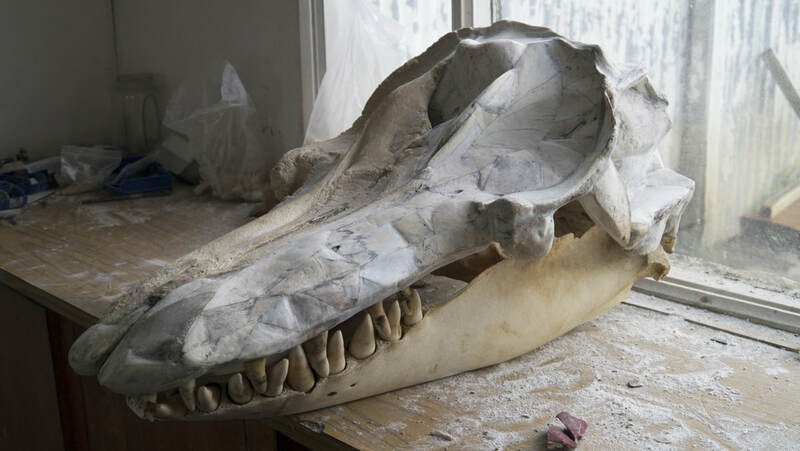 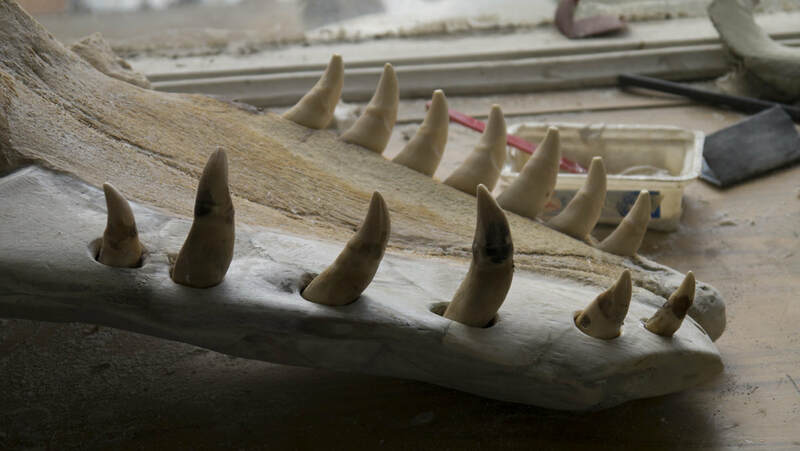 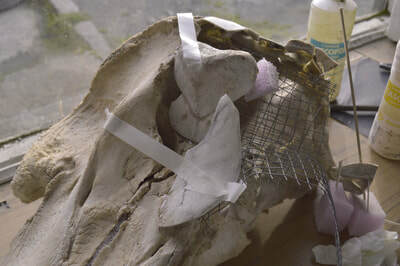 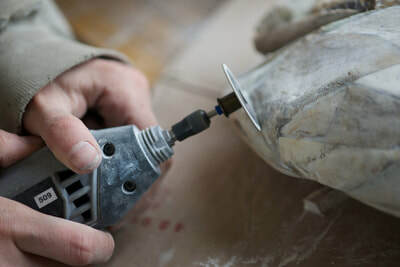 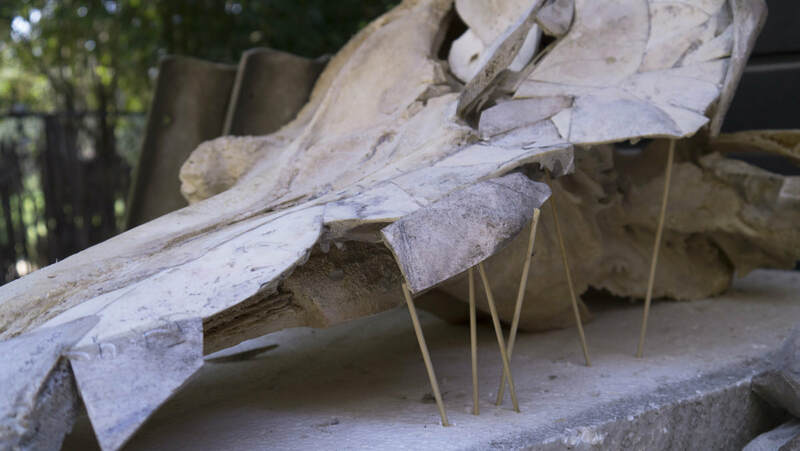 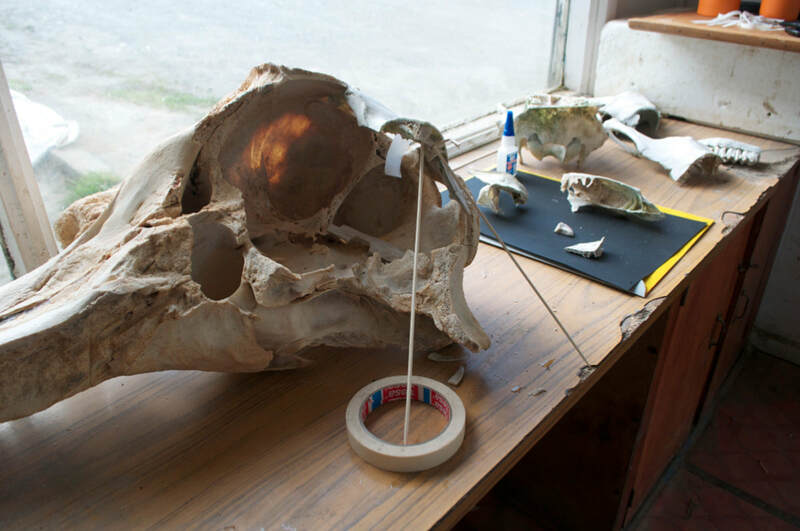 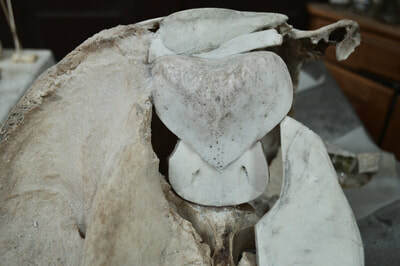 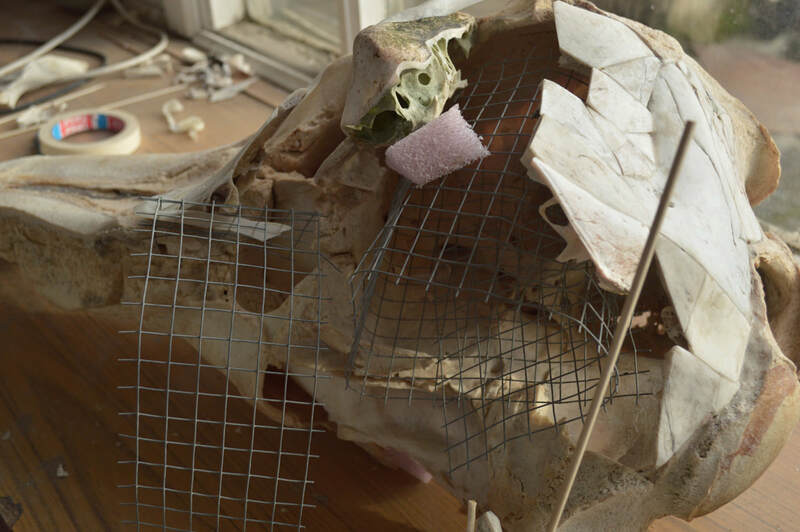 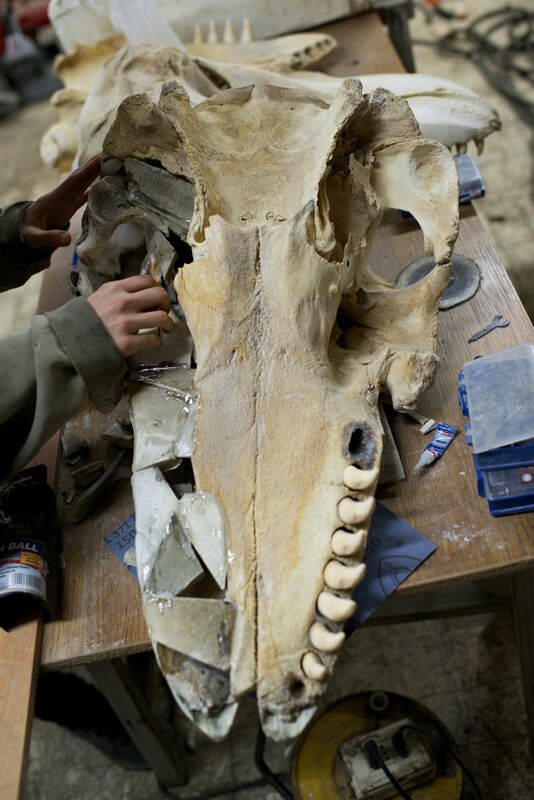 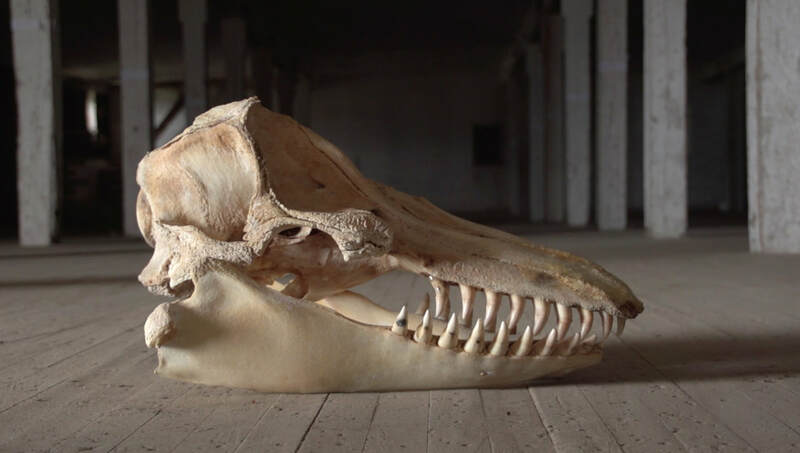 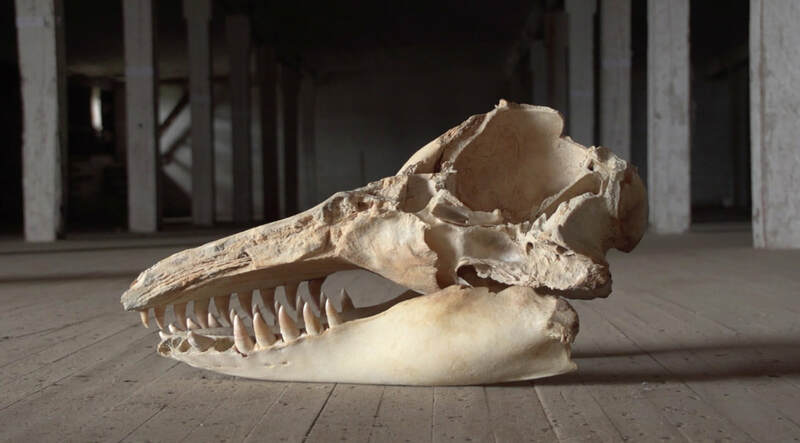 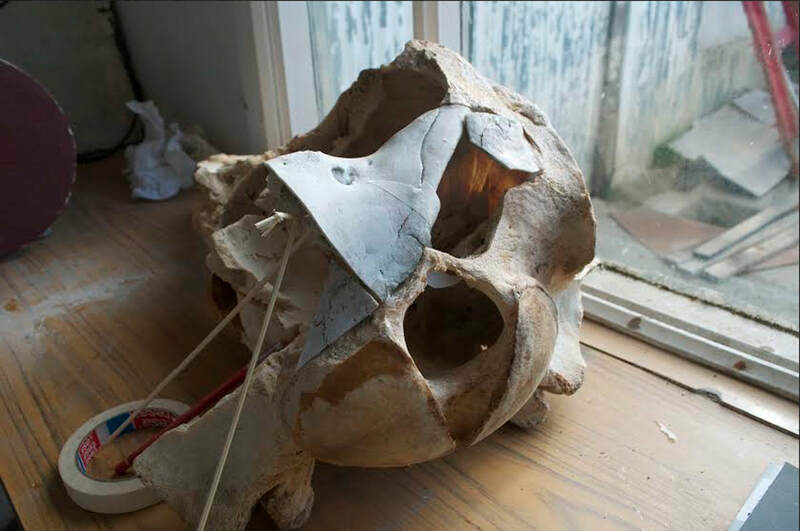 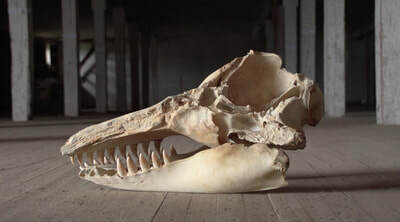 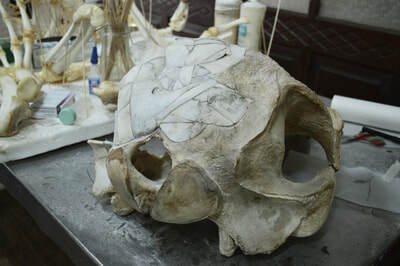 A special mention within the museological and museographic development of the MHNRS requires the complete skeleton restoration of a false killer whale (Pseudorca crassidens), harvested in Segunda Angostura, during 2014. 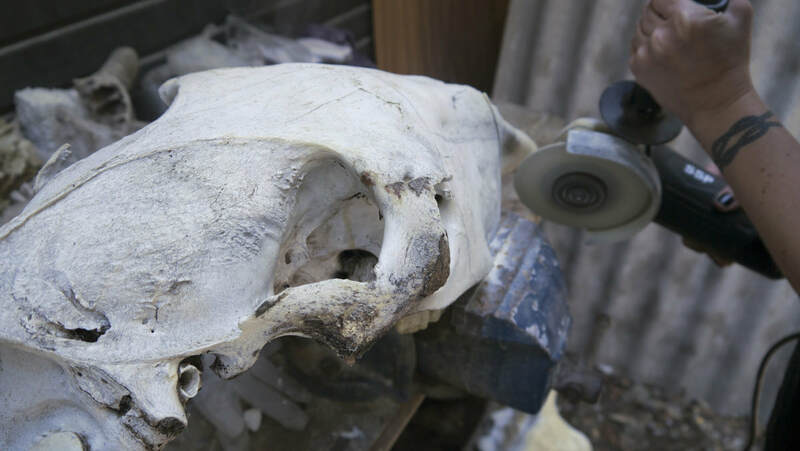 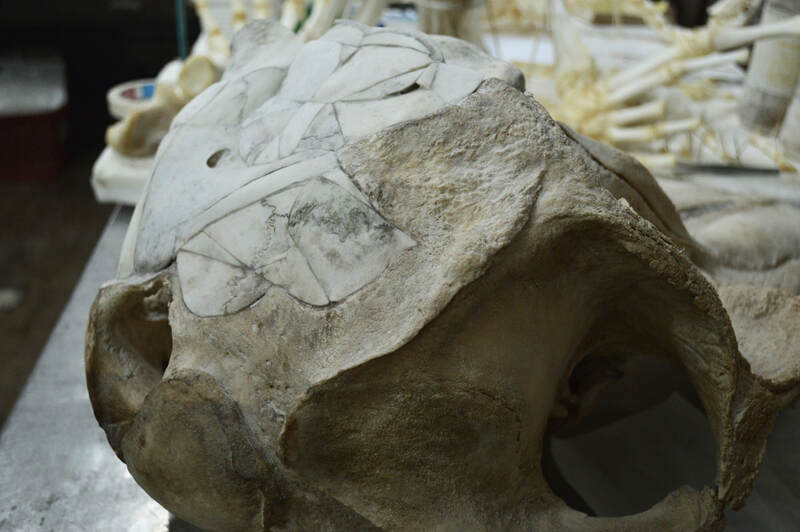 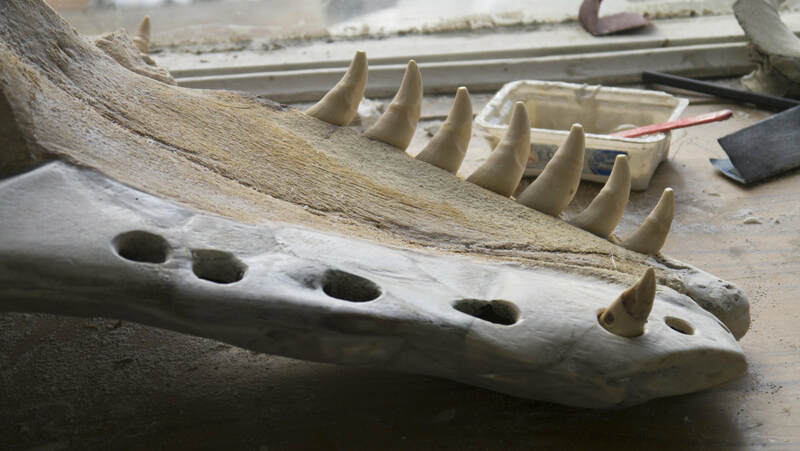 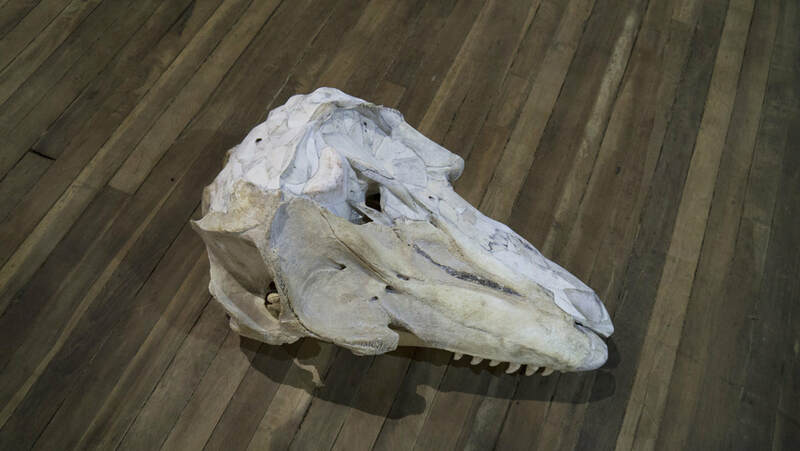 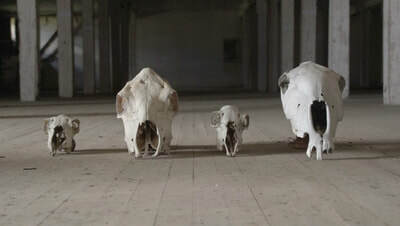 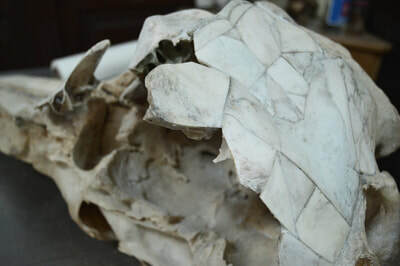 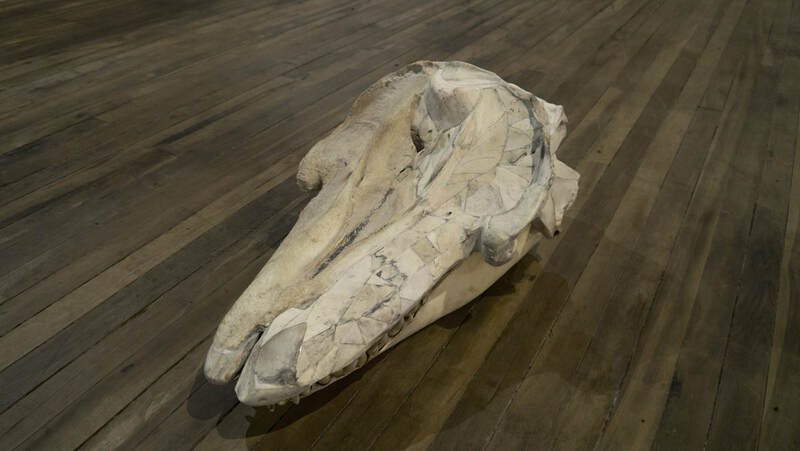 At the time of its collection, the animal's skull was split in half, which triggered in a series of conversations and material searches around its restoration. 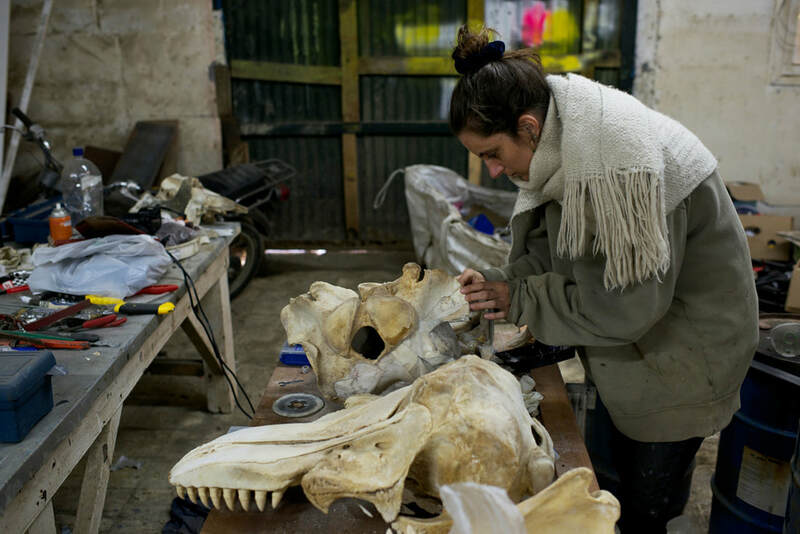 The result of this search, concluded with a residence of the artist Aymara Zegers, who today is an essencial member of our work team. 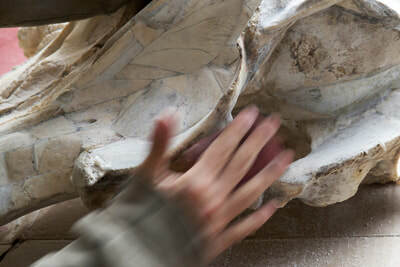 The way to restore the piece has been called recombination, a term used by the ecological sciences to refer to the processes of introduction and re-introduction of species in which society, environment, and nature are analyzed from broad ranges in biogeographic zones and global, overlapping paradigms between restoration and conservation (Barker, G. 2000). 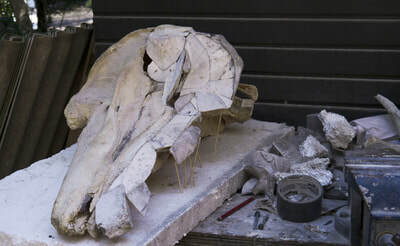 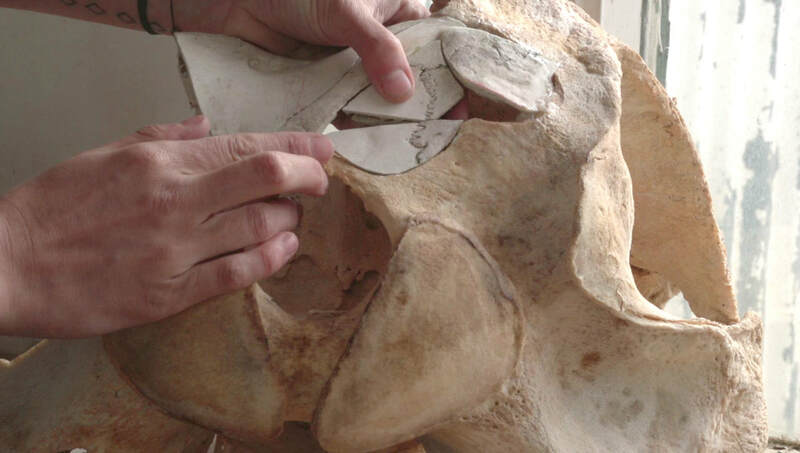 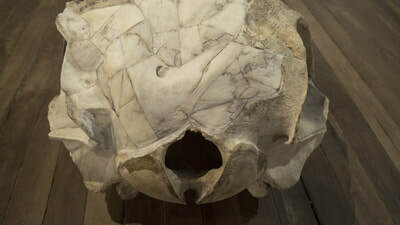 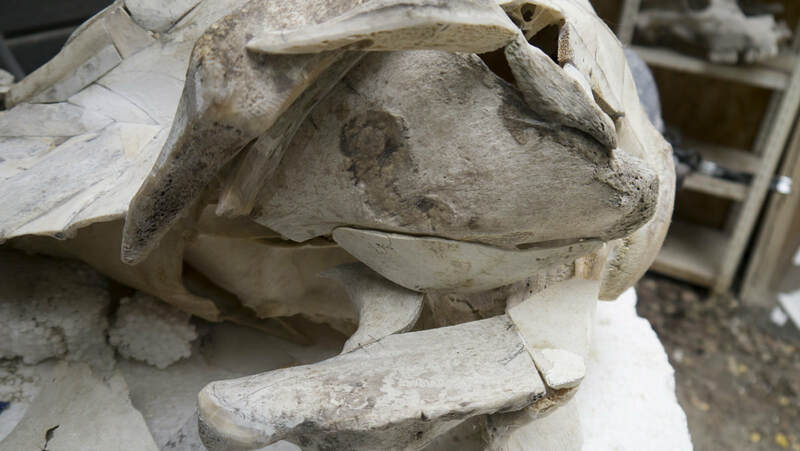 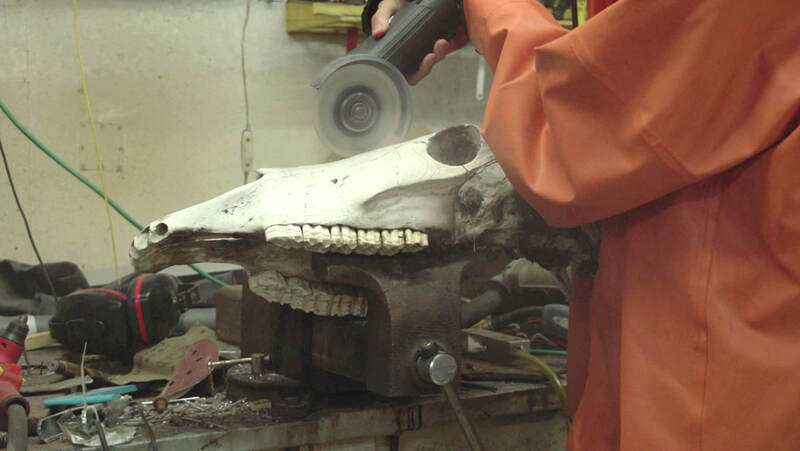 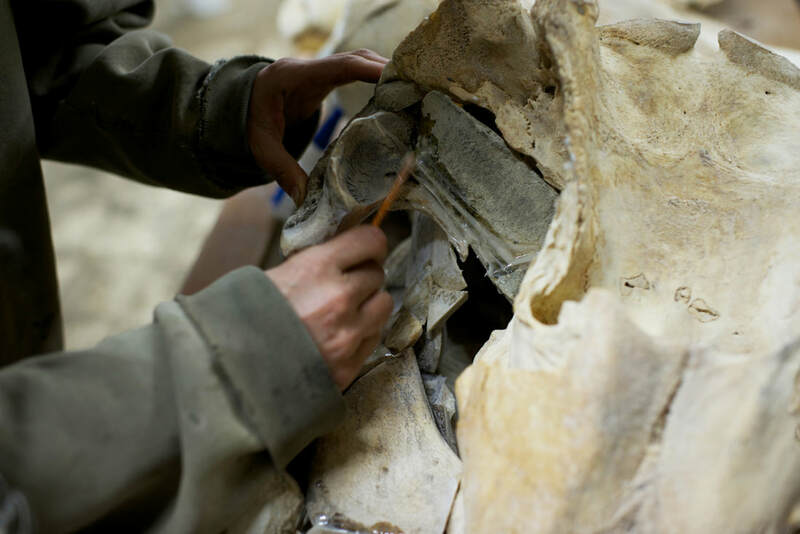 In this way, the technique of restoration used for this piece of almost 5 meters, is a species of mosaic made with animal bones of cattle (bovines and horses) that, jointed with others, the shape of the cranial vault and the left jaw of the Odontocete is recovered. Aymara has called this work as: "... gravitating objects that separate their origin, their function and their totality, subvert the taxonomic systems. 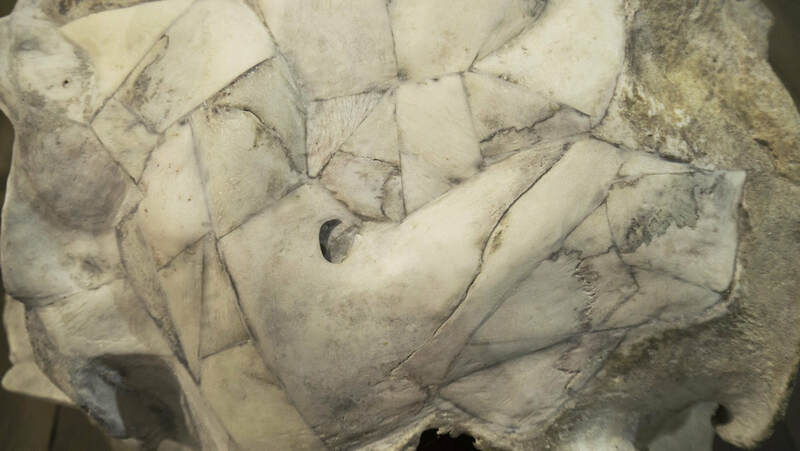 The recombination is a nucleus organizer of quotes, of cuts, of stories, of evocations. Recombinated bodies in a poetic procedure that gives the object its identity, which is nothing more than a resonance between the museum, its ideological and architectural structure" (Zegers, A. 2015). 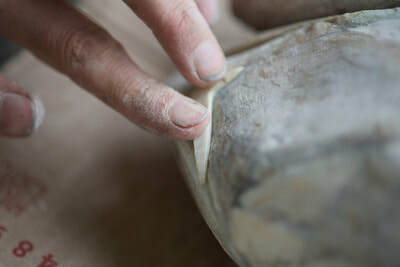 The singularity of this object, given for being a "sculptural" piece, subverts the classic techniques of restoration for museographic pieces of biological origin, which for the purposes of its conservation in the time still we do not have clarity and we must observe closely, since this procedure, bone recombination, will be used hereafter as a hallmark of the MHNRS.